Software expertise: Sybex - 2008 - 474 pages PDF. 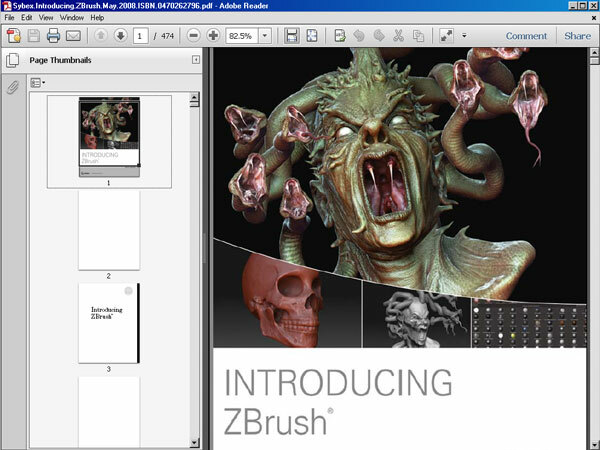 For a more foundational introduction to the tools, I recommend looking at Eric Keller's Introducing ZBrush, also from Sybex. Create Hyper-Realistic Digital Models If you want to take advantage of one of the hottest CGI tools available, "Introducing ZBrush" is the perfect place to start, you will learn how to work with the ZBrush sculpting and painting toolset. For a more found..